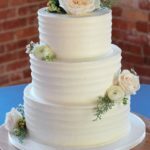 This fun summer wedding cake has sparkly sugar crystal on the top tier, colorful sprinkles on the middle tier and smooth iced on the bottom tier with some sparkles. 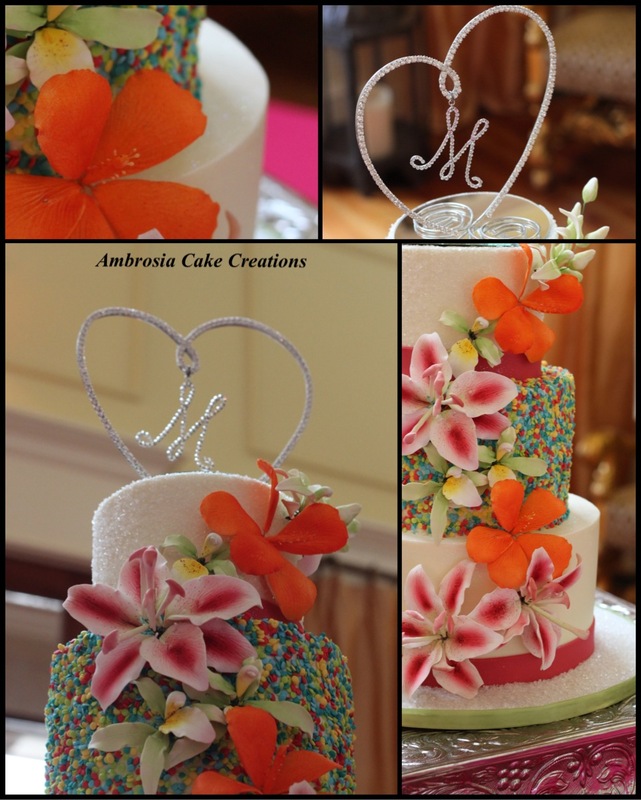 We cascaded gum paste flowers down the cake for some additional color and dimension. The topper was a crystal heart with the couples monogram dangling in the center. 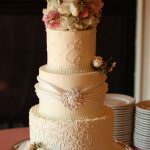 The wedding took place at the Chateau Bellevie located in Fuquay Varina, NC.